Devita is a natural cosmeceutical skin care company based out of Arizona. They make all-natural, vegan, paraben-free and PETA certified products for face and body. From my experience, it's hard to find a natural line of skin care that is also effective. 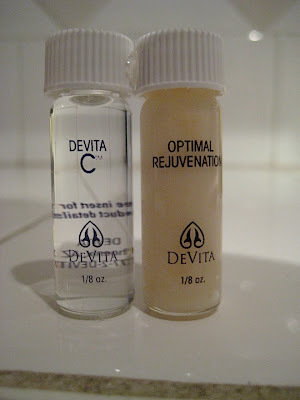 Devita, being a cosmeceutical brand, has found the perfect balance between efficacy and remaining natural! They use cutting edge peptide technology and combine it with well-researched vitamins, minerals and botanical extracts for powerful results. "Many of our products are self-preserving, due to their low pH and do not need the assistance of ANY type of preservative. These include products with Witch Hazel or Alpha & Beta Hydroxy Acids as they contain sufficient amounts of acid for effectiveness. Our cleansers and toners contain anti-bacterial ingredients as natural preservatives. Alternative preservatives allow for an average of a 24 month shelf life. As we are a small manufacturer, we create products in small batches so they are fresh when you receive them. If you use the Solar Protective Moisturizer daily, as recommended, you will not ever have to worry about it going past the due date as you will use it up faster than the 24 month time frame." I really like this cleanser. 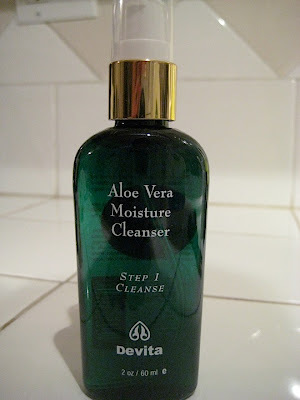 It's got a gel consistency that doesn't lather too much, and has a soft aloe scent. It leaves the skin feeling clean and supple, not squeaky or tight (which you don't want!). While it did a good job of removing light makeup, a separate makeup remover is definitely needed for heavier eye makeup removal. With an Aloe base, natural essential oils and Vitamins B5 and E, this is a soothing, nourishing cleanser for all skin types. This toner has the most lovely and refreshing natural rose scent! 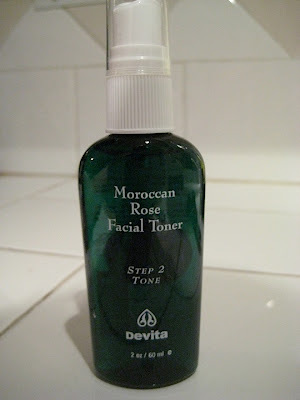 According to Devita, rose oil "has been used for its astringent, toning, anti-inflammatory and rejuvenating effects." Surrounding the rose oil is aloe vera, AHAs (lactic acid, glycolic acid, and maleic acid) for gentle exfoliation, and green tea extract to protect and soothe, and other natural botanical extracts. This toner is wonderfully refreshing and active, leaving the skin noticeable softer and smoother after just a few uses. Next in the Travel Kit comes the Aloe scrub, again with an aloe base, jojoba beads to exfoliate, and extracts of goldenseal and grape to promote healing. I found this scrub to be a bit abrasive, which is a lot to say for me since I really like rough, grainy scrubs! It definitely worked though - using gentle pressure I lightly massaged it over my face and neck and saw much smoother skin after cleansing. I'd definitely recommend being careful with this one, because it could be too rough on sensitive skins. Step 3: Treatment Serums C Serum: I really liked this active Vitamin C Serum. It's a liquid-y serum with a whopping 17% Vitamin C, Aloe Vera, Green Tea, and CoQ10, this serum is an antioxidant powerhouse! As DeVita warns, it did tingle upon application the first few times I used it, but that effect soon went away as my skin adjusted to the product. This product may be my favorite in the kit - I found 1 to 2 drops covered my face and neck after applying the Rose Toner. I definitely noticed a difference in the overall brightness of my skin, and even noticed some old acne marks fading! Optimal Rejuvenation Serum: This serum is a powerful anti-aging product, helping to firm and lift the skin while boosting cellular turnover. With a plethora of antioxidants (DMAE, alpha lipoic acid, green tea, CoQ10) and Vitamins (C, E, B5, A) and toning botanicals and extracts, this serum has it all! I found this serum to be a little too active for my skin, but it would be perfect for anyone looking for a really powerful serum to target signs of aging. Step 4: Moisturize. 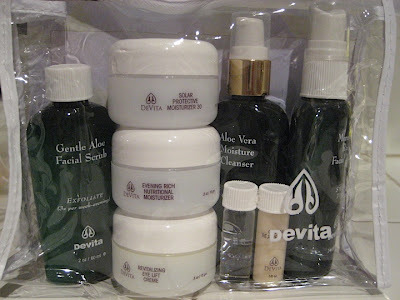 The Deluxe Travel Kit included a daytime SPF moisturizer, a night cream, and an eye cream. Solar Protective Moisturizer SPF 30 - This is one of the best daytime SPF moisturizers I've found! With 19% micronized zinc oxide as the sun protection agent, Aloe Vera, Vitamin E, glycerin and hyaluronic acid, this lightweight moisturizer is a great daily product. 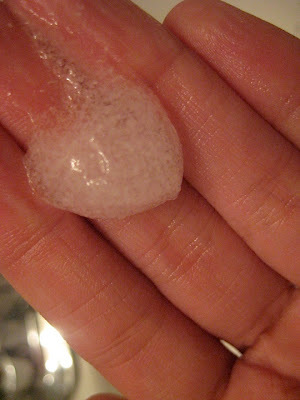 It soaks in easily, leaving the skin feeling fresh and soft, not sticky or oily. Zinc oxide and aloe are also great for reactive or acne-prone skin types because of their anti-infammatory properties! While this is the perfect amount of moisture for summer, I can see needing a little additional moisture for winter when my skin gets drier. 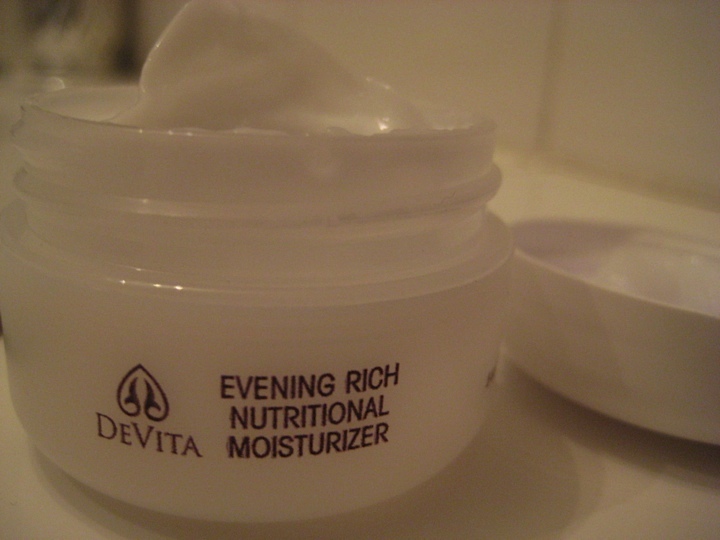 I'm not usually a fan of night creams, as I find them to be too heavy with little payoff, but this one changed my mind. This night cream is a richer consistency than the day moisturizer, but is not too heavy or occlusive - it's got a great whipped creamy texture that soaks in well. It's also one active night cream, with anti-aging Vitamins A and E, beta glucan, botanical extracts and Palmitoyl Tetrapeptide-5 (a powerful collagen and elastin booster). I woke up to happy, hydrated and healthy skin every morning after using this product. This powerful eye cream does it all! 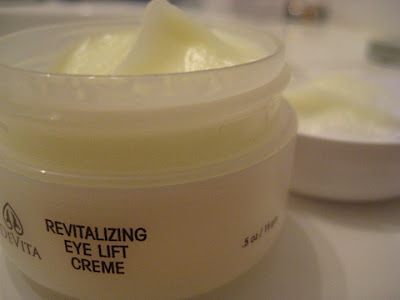 It hydrates, de-puffs, firms and lifts, and gets rid of dark circles. That's a lot of work for one little cream, but with its powerful ingredient list, it's no surprise. It contains Vitamin K to reduce dark circles and increase circulation, Vitamin E for antioxidant protection, hyaluronic acid and eyebright extract to hydrate and brighten. The real star of the show is Palmitoyl Oligopeptide-Palmitoyl Tetrapeptide-3 (whew! ), a chain of amino acids that boosts collagen and elastin and encourages cellular repair. I was really impressed upon seeing this powerful peptide chain in the ingredients because you'll usually only find this ingredient in eye creams that cost 3 times as much as this one. DeVita's Revitalizing Eye LIft is under $30.00 for 1 oz!! The Bottom Line: LOVE! 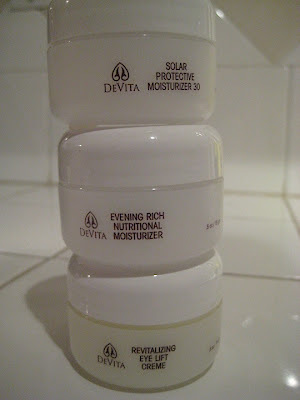 I am really impressed with DeVita's line of products. They really do use an impressive array of powerful ingredients to ensure each products is effective, while leaving out harmful toxic additives. On top of that, their prices are very reasonable, especially when compared with other lines on the market that use the same ingredients for at least twice the price! love this line. I've tried the SPF 30 moisturizer and their glycolic blend AND am obsessed. Will be reviewing them soon on my blog.